Third Time's the Charm turned out beautifully. That pattern really showcases those prints. Hope you get some time to snuggle with it soon. Another great finish Kelly! 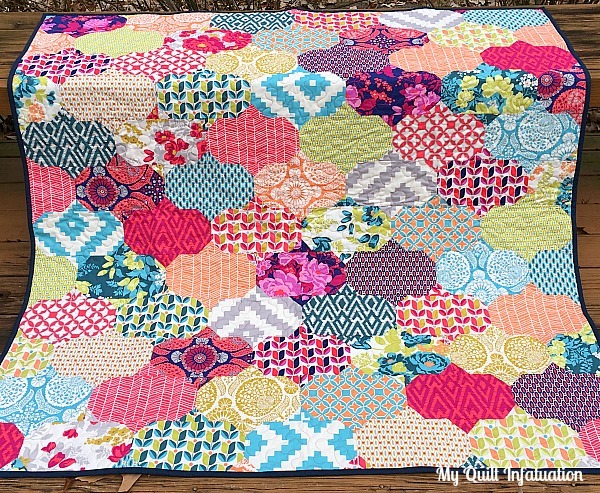 Thanks for sharing my scrappy sampler again. It was a lot of fun to lay out. Wish you and your family a wonderful 2017! 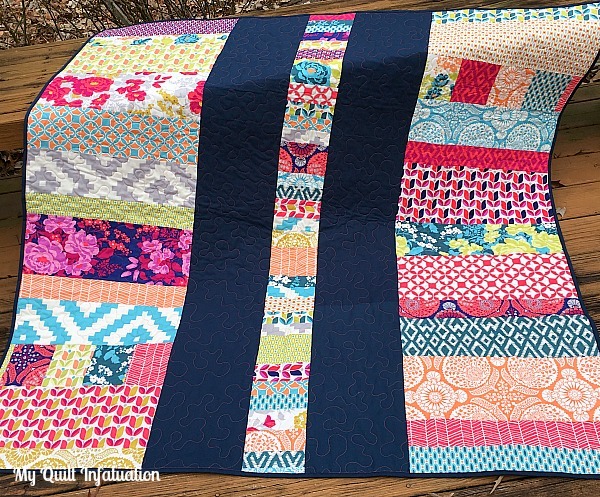 I love all your fabrics in this quilt, such a pretty range! Kelly, I love your pieces! The black, white and red really grabbed me! My first thought was, 'gasp, look at all those curves'. I really need to buy the Baubles pattern and add it to my go-to patterns for gifts. Thank you for the linkup! This is great! Nice job! 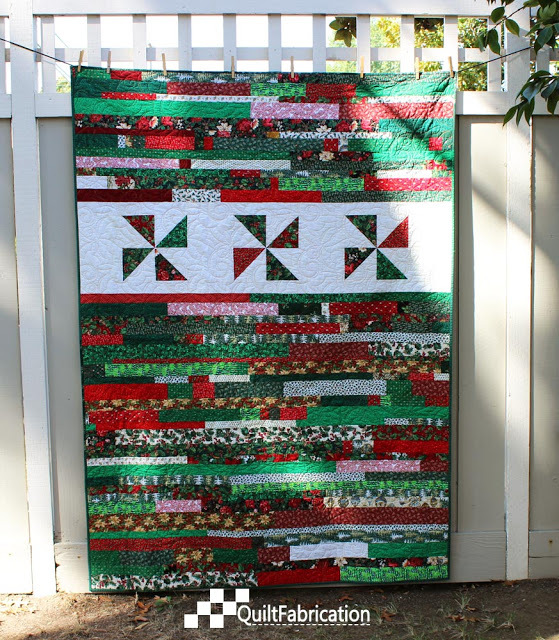 Truly one of my favorite quilt patterns! 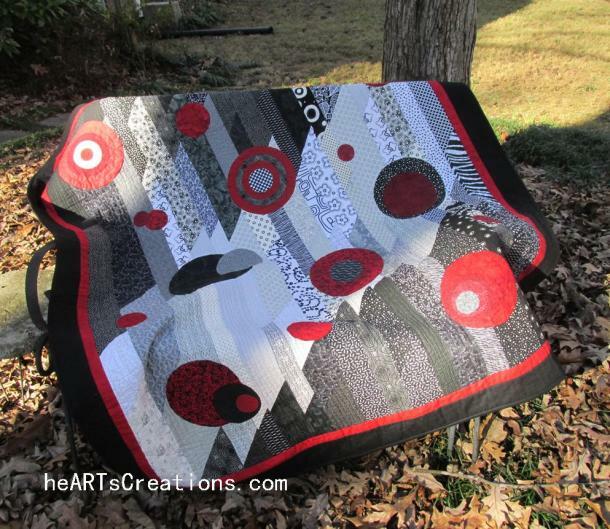 Yeah for a quilt for you. I always thought the blocks in this pattern were rounded, but just realized that they're not. Wow. 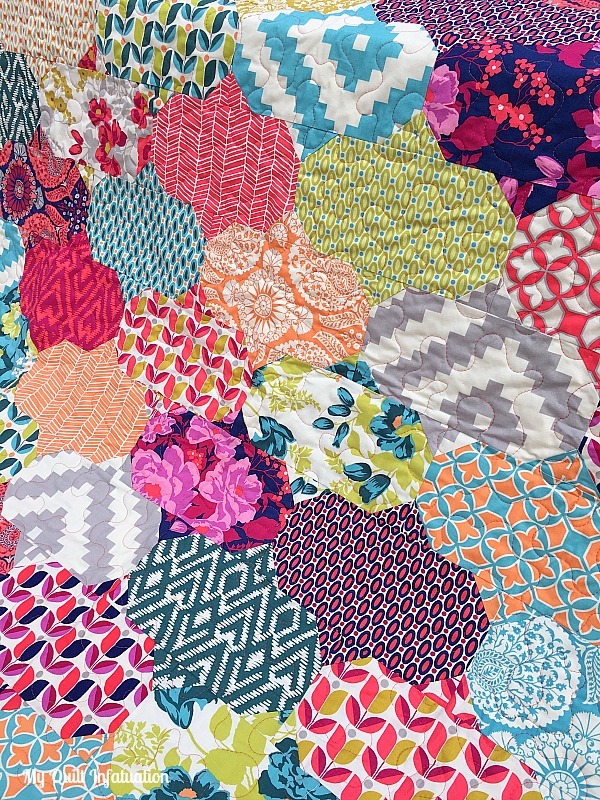 You totally deserve to keep a quilt for yourself - it is so gorgeous in those Joel Dewberry fabrics! I love that range and must start collecting some more of it so I can make Baubles too.